Republican Vice presidential candidate, Indiana Gov. 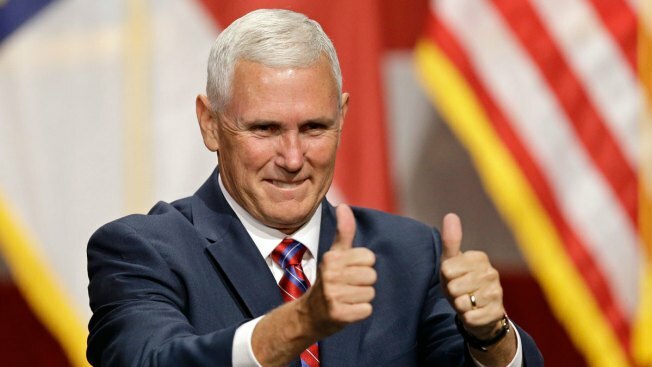 Mike Pence, gives a thumbs-up during a town hall meeting in Raleigh, N.C., on Aug. 4, 2016. Donald Trump's running mate is visiting New Hampshire Thursday. Indiana Governor Mike Pence is holding a town hall meeting at Manchester's Executive Court Banquet Center. This is his first visit to the Granite State since becoming Trump's running mate.